Zlatan Ibrahimovic is set to return to United’s training base within the next 24 hours. The 35-year-old has been out of action since he tore his ACL in a gruesome injury during United’s Europa League quarter-final win over Anderlecht. Despite his 28-goal campaign last season, the club decided against taking up the option of extending his contract that expired this summer. He was confirmed to have been released, but the Red Devils offered him full access to their training ground facilities as a goodwill gesture to aid his rehabilitation. Never one to shy away from the limelight, Ibrahimovic has constantly been uploading pictures and videos of himself on his Instagram page detailing his road to recovery. Many expected the legendary Swede to be out of the game till at least January, but being the warrior he is, he has already begun light training and some basic exercises with a football. His surprisingly early return has got the papers talking, and rumor has it that United are now reconsidering their earlier stance, and are keen to sign him up for another season if he can prove his fitness. If he does sign a new contract though, his role will be far more reduced than the one he enjoyed in his debut season at Old Trafford. Romelu Lukaku’s arrival means that he will now be the main man at Old Trafford – the Belgian has even taken the number 9 shirt left vacant following Ibra’s ‘release’. 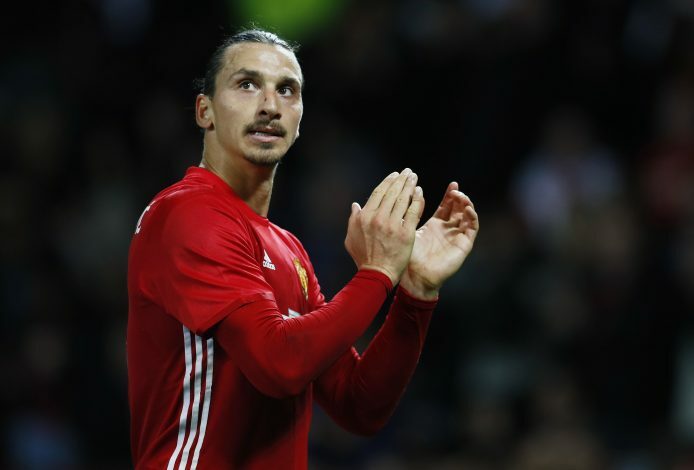 However, Zlatan is still keen to continue playing at the highest level, and is equally determined to remain at United. He is expected to return to the club’s training ground within the next 24 hours to continue his rehab and recovery. As per the Sun, an Old Trafford source has revealed: “Zlatan will be coming back to resume his rehab from his knee operation very shortly. He’s been told to calm it down a bit, but that’s just not what he’s like, he’s so determined.